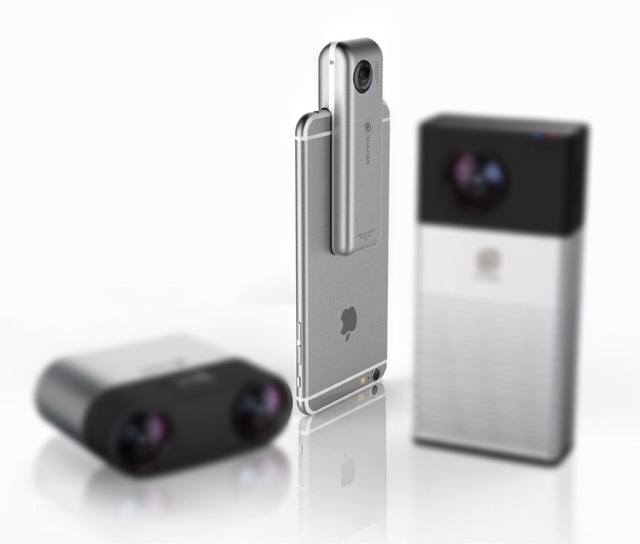 Insta360 is launching a compact 360 camera designed to attach to your smartphone. Called the Nano, the camera will be smaller and lighter than their previous model, the Insta360 4k. The Nano will attach directly to the lightning port of an iPhone. In the shot above, you can see the iphone is upside down. It is not known if the Nano will work with Android or other phones, or iPhones with a protective cover. Once connected, you can control variables such as ISO, shutter speed, and white balance. The app will allow basic editing and can post to Facebook and YouTube. 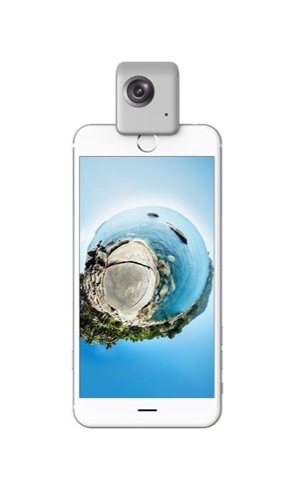 Insta360 says that the Nano video resolution can be as high as 3k. Its battery will last 70 minutes and it will support an external memory card up to 64GB. Five colors will be available. Insta360 plans to price the Nano at less than $200, and may become the most affordable 360 camera (along with the LG 360). Free LG 360 from T-Mobile; LG 360 Price and Availability Revealed!